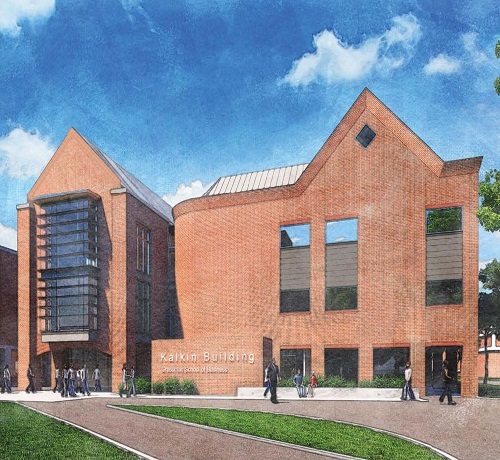 Scheduled for 2018 completion, the Kalkin Hall Addition is an expansion of the Grossman School of Business at UVM. The new addition includes 23,000 square feet on five floor levels. The new structure infilled an open courtyard between existing buildings and required underpinning of existing foundations on three sides. The building is steel framed with welded moment frames to resist lateral wind and seismic loads.